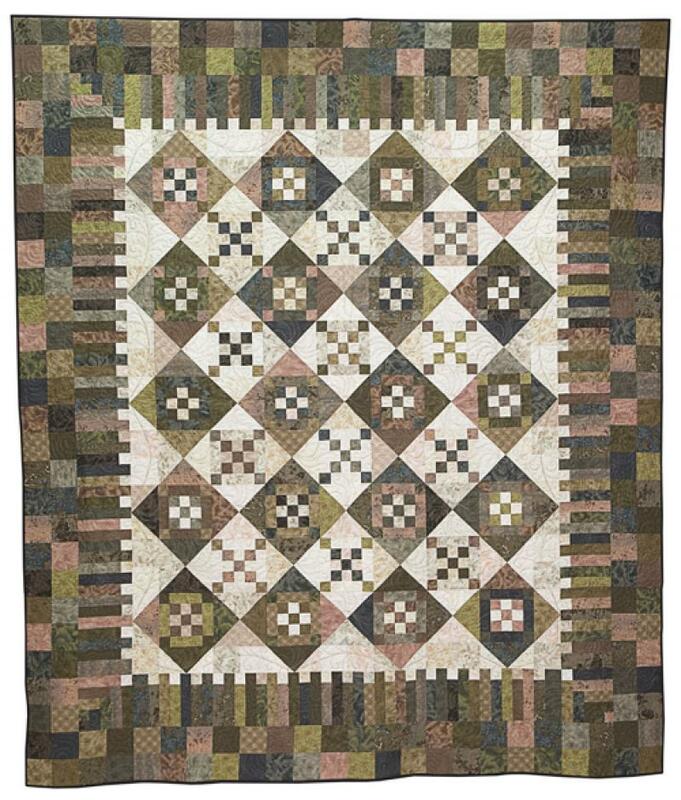 The Diamond Dazzler is a fun quilt to put together. You'll need 18 assorted Dark prints for this quilt. Remember that Dark is relative. Your Dark prints could be pastels or brights! They just need to contrast with your Background. Select the Dark prints from 3 or 4 color families. Some variation in value among your prints is fine. You'll also need 9 assorted Background prints.